Mumbai, Jan 23 (CRICKETNMORE): Filmmaker Karan Johar feels "very responsible" about the repercussions that cricketers Hardik Pandya and K.L. Rahul have faced since they made some misogynistic remarks on his chat show but says he has no control over answers that come his way. "It has now gone into a zone that is beyond my control. I have to say, and I don't defend myself with it, but the questions I asked the two boys are questions I ask everyone, including women. Even when Deepika Padukone and Alia Bhatt were there, I asked them those questions." 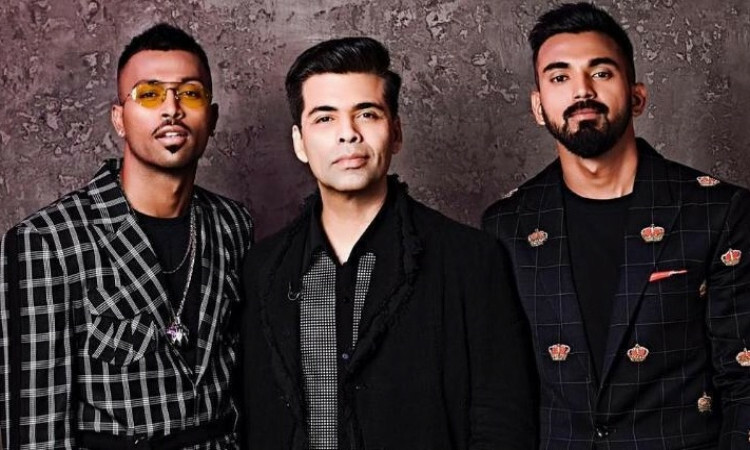 Pandya and Rahul faced a lot of flak for their comments on women when they opened up on their personal life on Karan's celebrity chat show "Koffee With Karan", aired on Star World. Karan, who has mostly had Bollywood celebrities as guests on his shows, said: "I have no control about the answers that come my way. And post the show, I have a control room which has about 16-17 girls. The show 'Koffee With Karan' is run entirely by women and I am the only man there. None of them came up. Some thought, 'Oh, he's wild, he's crazy, he's cracked, he's mad, he said funny things...' No one came and told me it was inappropriate or that 'Karan, maybe we should edit it', and as a result, I didn't think... I regret what has happened to them (Pandya and Rahul)." The filmmaker added: "I don't care about the TRPs... People don't understand that an English language show is never dependent on its ratings. We are nowhere on the radar of ratings. It was meant to be my show, and I want to say it, it is frivolous, sometimes a completely borderline, ridiculous, irreverent, candid, 'stop making sense' is our mantra... That's the show. "But I am not saying or justifying the conversation that happened on the episode. I am just saying that perhaps that things were said that crossed the boundaries, and I apologize because it was my platform where it happened. I feel the boys have paid the price for it already." Karan also said he will be "conscious about shooting any episode now". "I would be worried about asking the kind of questions... I was being edgy, and that's the vibe of the show." Does he think cricketers are off his list now? "I think I am off their list," he quipped.